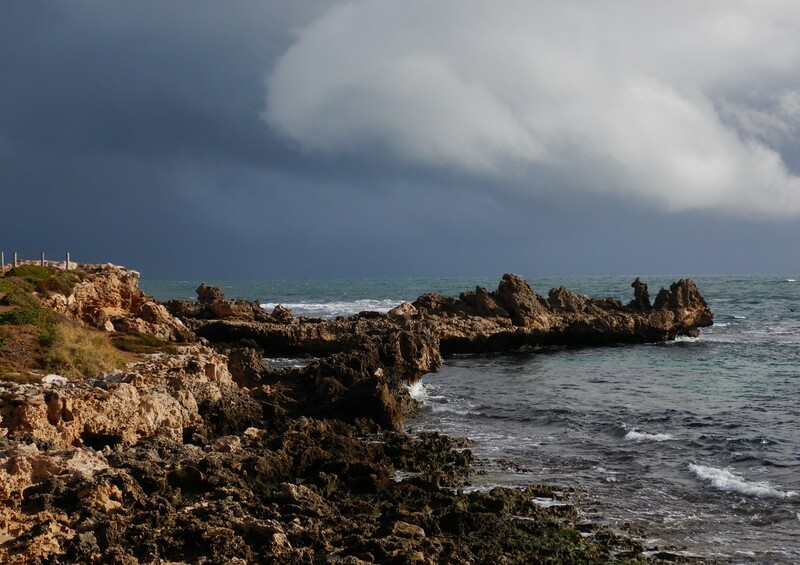 I hadn't taken any photos today, so we took advantage of a break in the weather and drove out to Point Peron for walk. We had hoped to get back to the car before the rain arrived but that wasn't to be. Very dramatic, looks like a good one coming through. Beautiful capture and great pov. Love the storm clouds. Creates a lovely light. Rugged looking area - wonderful storm clouds. Such rugged rocks & rain laden sky. I love the rocks and the ominous sky.